Each year, the Livingston County tourism office produces a new visitor guide to inspire visitation by showcasing the County’s natural beauty, outdoor attractions, hospitable accommodations, historic Main Streets, and overall quality of life. As the designer of the County’s visitor guide, I also extended the brand to its trade show banners to aid marketing efforts at events, festivals, and speaking engagements. 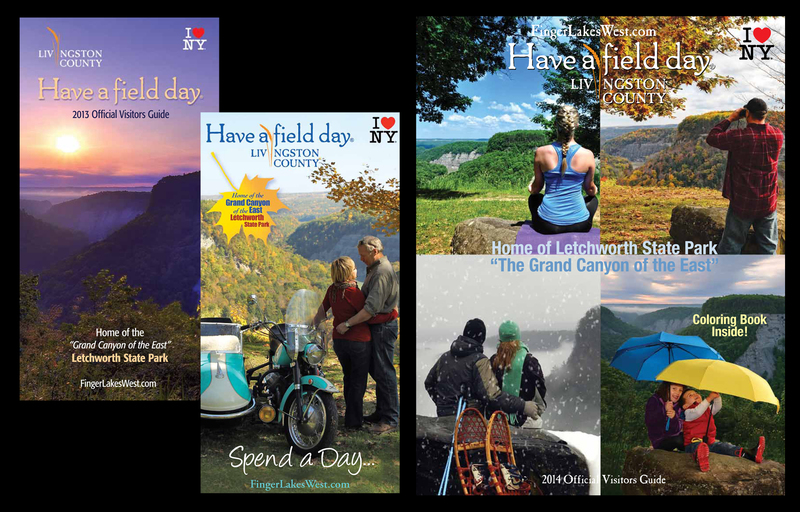 Over 75,000 guides are distributed in more than 800 locations throughout New York State, the Eastern Seaboard, Canada, and select other international markets.